Jorge Lara got caught by a perfect left hook by Claudio Marrero in the first 33 seconds of the first round. Former super middleweight world champion Anthony Dirrell takes out El Paso’s-own Abraham Han in co-feature, and Claudio Marrero stuns Jorge Lara on PBC on FOX. Pair of southpaw contenders are both promising fireworks in tomorrow's featherweight showdown on PBC on FOX card in El Paso, Texas. 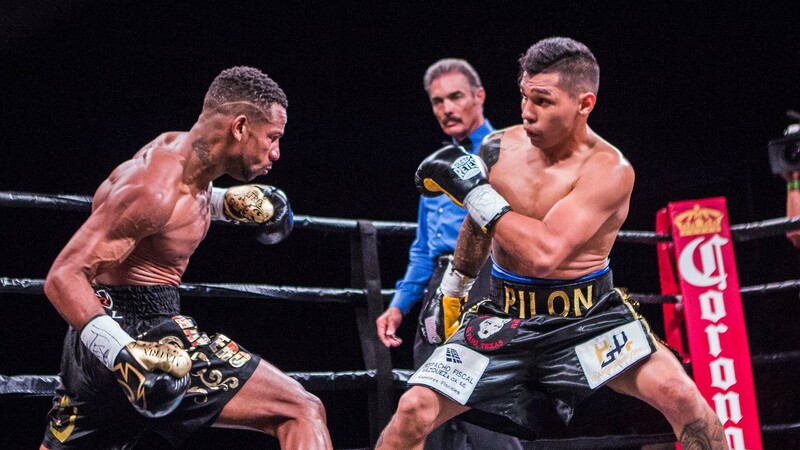 Former 168-pound World Champion Anthony Dirrell faces El Paso's-own Abraham Han in the co-main event and unbeaten 126-pound contender Jorge Lara clashes with Claudio Marrero on the card from the Don Haskins Center in El Paso, Texas. Jorge Lara overcame many obstacles growing up in Mexico to quickly become a title contender at 126 pounds. Displaying uncanny stopping power in the ring, the southpaw has shown the drive and talent to reach the top. Things were never easy for Lara during his childhood. Growing up without a father, Lara and his older brother lived in poverty in Guadalajara, Jalisco, Mexico, with their mother, who worked long hours at a furniture store, leaving plenty of time for Lara to roam the streets. Lara was jailed several times as a teenager for fighting, and at the age of 17 he found a local boxing gym to work out his aggression. He took to the sport immediately, and turned professional at the age of 19 after just a handful of amateur fights. Lara made his pro debut in Guadalajara in July 2010 with an 18-second stoppage of Adrian Soto Morales, the first of four straight knockouts to start his career. After an abbreviated technical draw in his fifth fight, Lara reeled off 12 straight wins leading into his June 2012 bout against fellow prospect Oscar Arenas, who entered the contest with a record of 19-1 with 16 knockouts. Lara controlled the 126-pound fight and gained a sixth-round technical knockout to establish himself as a rising star. After eight more victories, Lara took on veteran Jovanny Soto in Cancun, Mexico, in a 122-pound clash in October 2014. Lara dominated his more experienced opponent, putting Soto on the canvas twice in the first round and two more times in the second before finishing him off in the fourth. In March 2015, Lara stepped back up to 126 to face Mario Macias on the undercard of the inaugural Premier Boxing Champions event in Las Vegas. Competing for the first time outside of Mexico, Lara didn’t waste any time running his record to 27-0-1 as he stopped Macias barely two minutes into the bout for his 19th career KO.